If you stopped by here yesterday, you saw my photo for the prompt "Words." I spent a portion of the previous day considering what my subject would be before settling on the canvas I made Pat. Before making my decision, one of the main subjects that kept coming back to me was my sketchbook. There are A LOT of words in there. I've found that it's imperative that I have some writing materials near me at all times because ideas will just pop into my brain no matter where I am. And if don't get these ideas written down (play epic disaster music with lots of drums now,) they just FALL OUT OF MY HEAD! It doesn't matter how enthusiastic I am about these ideas/designs or how much I swear I won't forget them, if I don't write it down it's gone. Sigh. Now don't get me wrong, my book is not just full of jewelry ideas, but marketing ideas, blog topic suggestions (this was one of them), color combinations, craft experiments, poetry, doodles, straight-up journaling, links or websites to remember, lists of supplies, and so much more. If I don't have my exact sketchbook with me, I'll just draw something out on anything. The other day I was in my car in the bank drive through when an idea came to me. Fortunately, there was a slip of notebook paper in the seat next to me to get the stroke of inspiration written down. Since I know that I have a horrible memory, I write down just about everything I can. However, sometimes the ideas and memory-jogs that go into the book don't translate as well later. I've got quite a few design ideas that I just can't seem to decipher. It's a shame really because I'm sure I was really excited about those ideas when they came to me. Right now I'm trying to keep up the momentum of getting all my ideas in the book, no matter how tiny they are or how out of this world. So it's filling up faster than usual. I like that. As well, I'm in the process of going through my sketchbook and attempting to actually make the ideas and designs come to life. I've had some successes as well as some failures. Many of the successes (or what I consider a success) end up in the shop. Many of the bad ideas never get made, but some have to be tried in order for me to discover what a bad idea it was, like this necklace. I was going for a waterfall effect, but it just keeps tangling. As I work through my sketchbook and ideas, I may be sharing some of them with you here. For now, though I'm just going to keep plodding through it. Today I'm working on one of those inspirations that just HIT. You've probably seen them before, my Shabby Beads. My painted fingers were the perfect subject for today's February Photo A Day Challenge prompt. 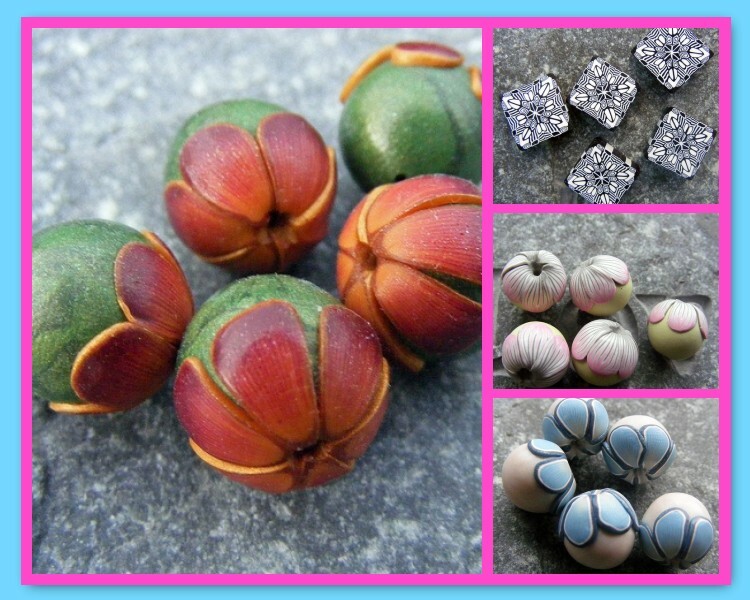 Pips is offering up some of her Petal and Flower Capped Beads for just leaving a comment. So easy!! Over at Second Surf, there's a massive leather giveaway going on with several ways to enter. Get to it! What do you do when inspiration strikes? 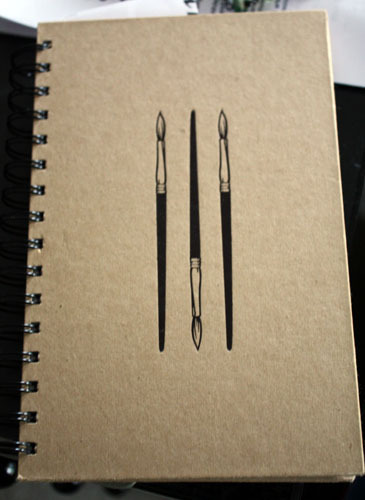 Do you have a sketch/idea book too or do you have other methods? I'd love to know. As from this year I am using a sketchbook too. I am just like you: if I don't write an idea as it pops in my mind, I will lose it. Most of the time I write draft posts for my blog. I have always a lot of things to say when I am not at my desk, but then everything fades out when I turn on my PC. Having a sketchbook definetely helps. Sometimes I write them down or draw them out, but most of the time I put them into the file box in my mind and refer back to it when I sit down and start work. I know if I were to make a bead woven design of my own I would definatly have to write it down. "FALL OUT OF MY HEAD" describes exactly what happens to me, too, if I don't write things down or sketch them out. I kind of quit doing it for a while and have started back. I like going back over my old sketchbooks and seeing the progression of my ideas, and which ones I actually did. 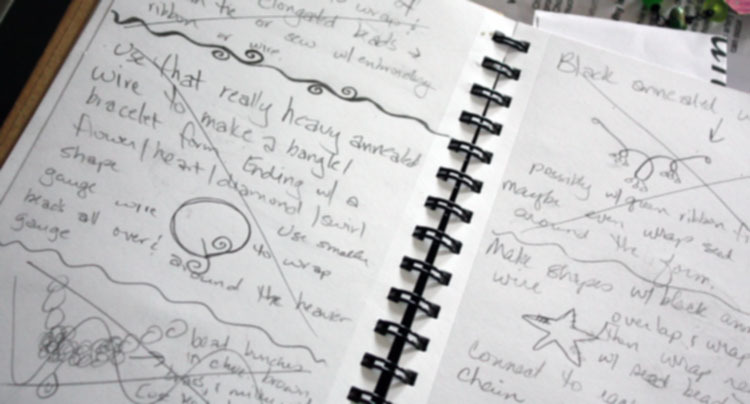 Mine is mostly sketches of jewelry ideas and list of things I need to do for shows. I like the way your book has other things. It seems even more useful that way. What a great post! Hm...my ideas. Usually I have nothing around when a great idea strikes so I have to work awfully hard to keep them in my memory! 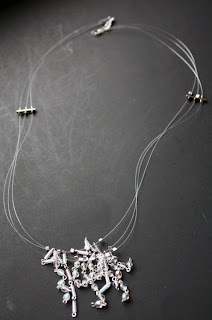 I've never been big on sketching out jewelry designs - they pretty much go from my head straight to the beads and wire. I do have "sketchbooks", more like journals, full of notes and inspirations, links and business info I've been collecting. I love to refer back to them and write in those several times a week. THANKS for stopping by. Wow, I am a little too late but love the giveaways you found. I am drooling over the leather. Your flower beads are wonderful too. 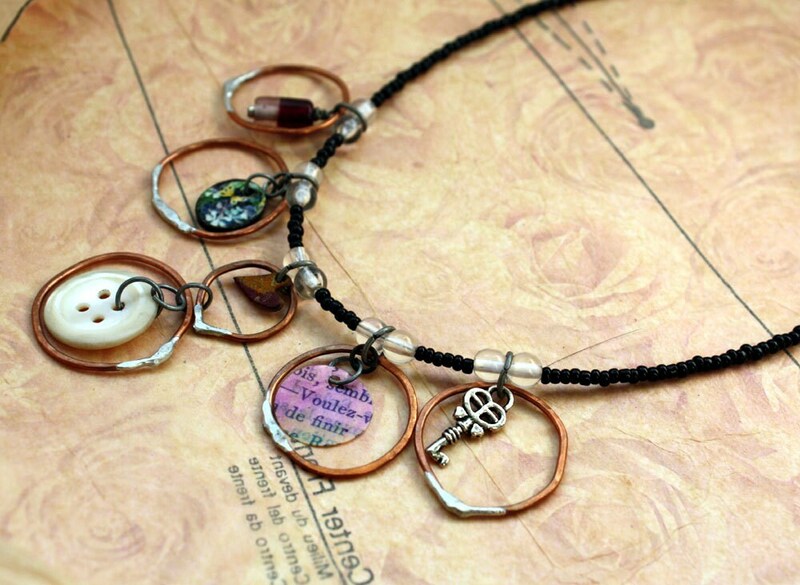 Hi Hope, thank you so much for the shout out about my giveaway on your lovely blog!